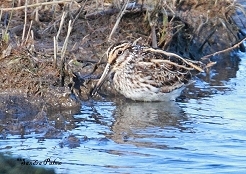 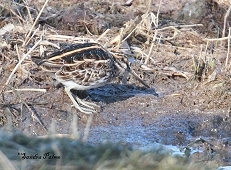 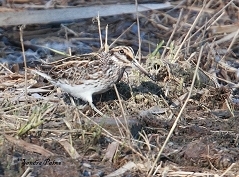 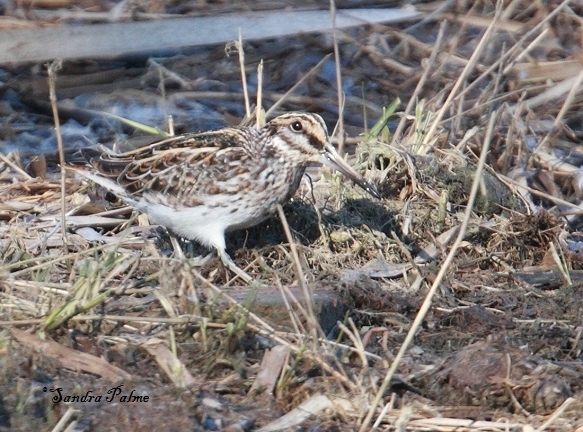 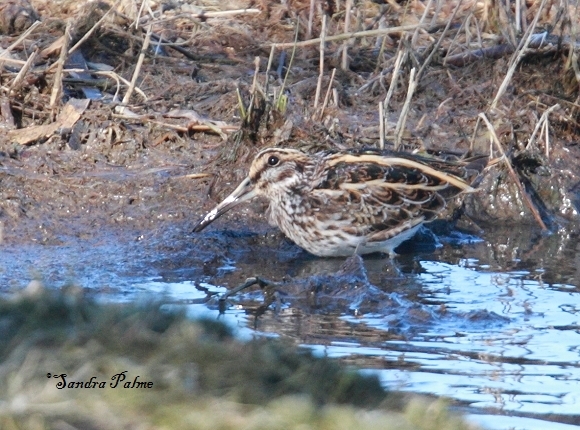 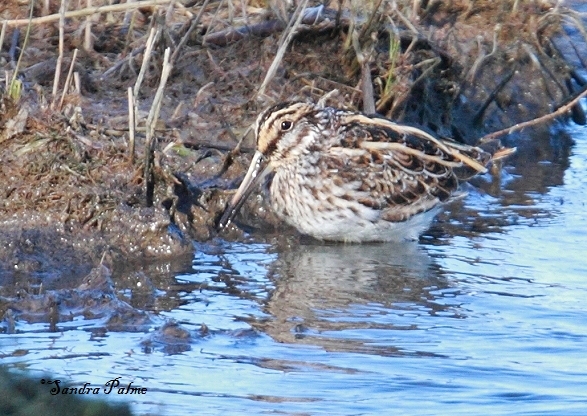 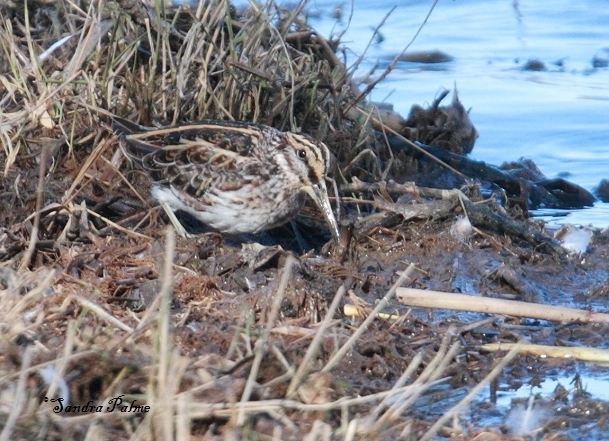 a real treat to be able to watch this gorgeous little Jack Snipe at Warnham LNR in early April 2013. 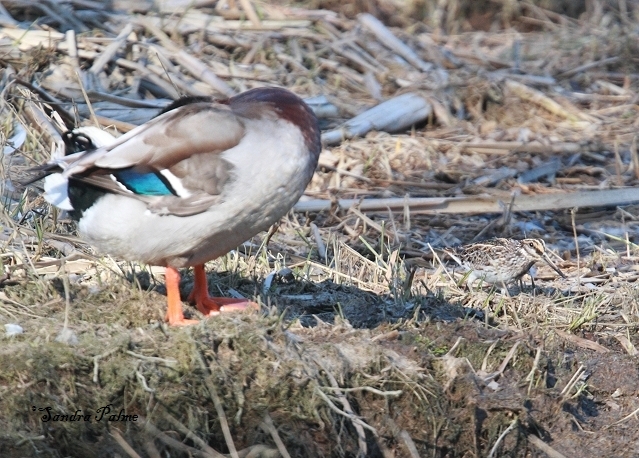 The way it 'bounces' when feeding is amazing! Spot the snipe! 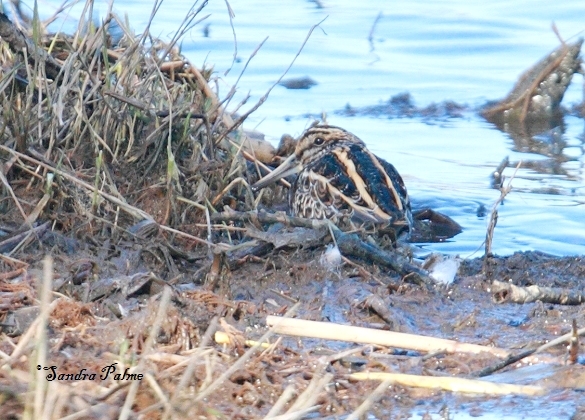 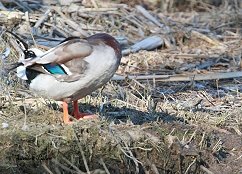 The preening mallard shows how tiny a jack snipe is!